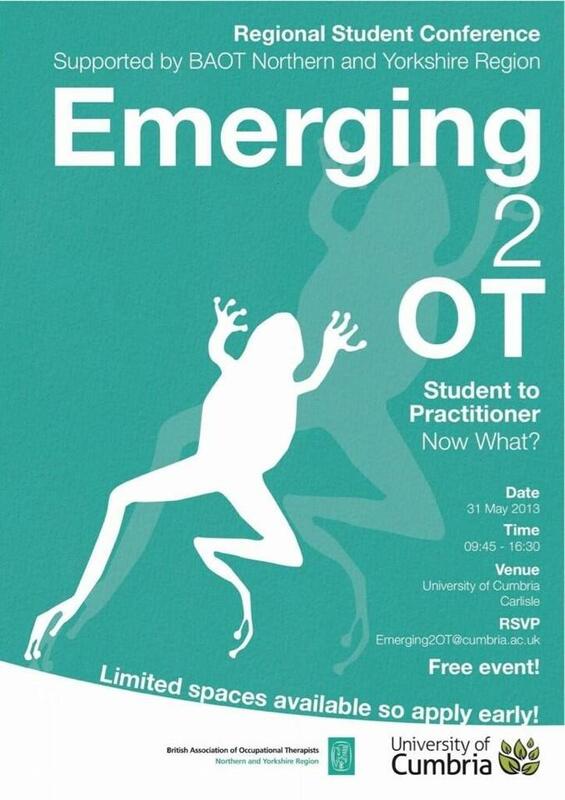 On Friday the 31st May I had the pleasure of attending the ‘Emerging 2 OT’ conference organised by Michelle Perryman (@Symbolic_Life) and her fantastic team at the University of Cumbria. I arrived the night before and enjoyed a meal with some of the speakers, organising team and delegates. It was a lovely opportunity to meet some real-life ‘tweeps’ and discuss all things occupational therapy. On the morning of the conference I chauffeured my lovely host, @clissa89, and myself to the conference and was rewarded with a tour of the campus. I then registered, picked my workshops (having a hard time excluding one of the four enticing workshops scheduled) and the day began. Robert Berry, outgoing chair of the British Association of Occupational Therapists Northern and Yorkshire Region gave the opening plenary, reflecting on his own experience of his transition from student to qualified practitioner. This was followed by Professor Matthew Molineux joining us via video-link to discuss ‘occupation for occupational therapists’, with a key message that we are in a fortunate position to promote the role of occupational therapy by use of our unique skills and being occupational occupational therapists. I attended 3 great workshops discussing aspects of the transition to newly-qualified occupational therapist from working in private practice, being a Band 5 within the NHS and working in academia within the first 5 years of qualifying. The messages from all seemed to be that there will be challenges AND rewards, that supervision and support are key and that we must be creative in our approach to both finding work and within the role we have. The day concluded with Lesley Crichton (Professional Head of OT at Cumbria Partnership NHS Foundation Trust) sharing her wisdom regarding her ’50 top tips for Applications’. There were lots of giggles at some of the ‘don’t do’ tips and also lots of great advice that I’ve noted for the applications I’ll be completing in less than a year. So, that’s the ‘practical’ and very brief account of the day. Now for the ‘personal’ stuff. My over-arching feeling of the day is about how excited I am to be entering the occupational therapy profession. Having met so many motivated and interesting students I feel confident that the profession is heading for even greater things. The day was also significant in the joining up process of my personal, ex-service-user and author of this blog, online experience with that of being a ‘real-life’ OT student. It was lovely to meet people I’ve communicated with online, but I wasn’t too anxious about that as they’ve accepted the ‘pd2ot’ version of me. What was possibly more notable was joining up the pd2ot identity with the OT student identity with some students from my own university. It’s not the first time I’ve done it, but it’s anxiety-provoking AND nice, every time. The conference was also my first experience of ‘live-tweeting’. I have to admit I was sceptical before I started that it could be done mindfully and without missing out on the content of the presentation. Well, I was totally wrong! I think it allowed me to be more focused during the talks, it required me to quickly process and succinctly convey the key messages (and be confident that I’d understood the meaning as it was going to be a public record) and allowed me to connect with other people and consider their understanding of the same event. I took my trusty ‘conference notebook’ with me (with pages of notes, never revisited from previous events) and barely wrote anything. Instead, I have an easily accessible record on my Twitter timeline, complete with retweets of the key points ‘borrowed’ from other people. Live-tweeting is definitely something I’ll be doing again! Oh, I nearly forgot… I had a lovely #OTgeek moment of ‘OT Tourism’ and visiting the University of Cumbria’s library, with particular focus on the OT section – fantastic times! So, overall a fantastic day on many levels. I’ve taken so much away from it. Although I think many delegates were final year students I feel very lucky to have received all that input on the transition before I complete my first application. I have to say the organisation of the conference was excellent, and all of the team were friendly and helpful. The only minor glitch of the day was the video-link cutting out at the very end, but in true OT style, this was instantly problem-solved with the offer of submitted questions to Matthew Molineux online or via the team. I really can’t fault the day at all (apart from wishing it had been a two-day conference!). Does ‘being pd2ot’ make me less competent? This post is being written at the expense of the ‘Dissociation’ blog post, which still remains a half written draft. There are two reasons for this; 1. the dissociation post is proving very hard to attend to and 2. the topic of this post is one that more urgently warrants personal reflection. I will reflect on the question with consideration of my experience of being the student that is pd2ot, at this, the halfway point in my course. So, am I less competent as a student that has recovered from Borderline Personality Disorder? It is possible that you are wondering why I’m even considering this. Especially as I have been fortunate enough to receive quite public feedback about the contribution my experience could make to the Occupational Therapy profession through this blog/Twitter. Well, the reason for this is my own internalised stigma. I am soon to face a practice placement where I will be ‘bare below the elbows’. When I discovered this I was terrified as it will mean that my scarred arms are visible to staff and clients alike. My panicked concerns ranged from ‘What if my educator judges me as incompetent?’ and ‘What if my clients don’t want to work with me as they don’t trust me with their care’ to the slightly more probable ‘What if my performance isn’t as good because I feel self-conscious and can’t hide behind apparent competence?’ I had a very useful meeting with my academic tutor, in which we explored the issue and action-planned how I would manage various scenarios. I know that the reality is likely to be that it will be a complete non-issue and most likely something that is very good for me getting experience of being accepted ‘warts and all’, but it feels good to be prepared. During this meeting my tutor asked me if I feel less competent due to being a person who has experience of self-harm. My short answer was ‘No’, but I am aware that if I 100% believed that we probably wouldn’t have been sitting in a room having the conversation. Like many things I think ‘being pd2ot’ has advantages and disadvantages. Rest. I still have a pretty horrendous sleep pattern, this means that I find functioning and getting myself to placement/university in the morning to be hard work. Judging by feedback from my previous educator this wasn’t at all evident in my performance on placement. It simply makes placement a pretty big challenge for me. While I am very glad that it doesn’t effect my performance, it can make it all the more challenging to speak up and say ‘I can’t keep doing this’, because to all concerned all they observe is a student managing really well. This is probably the most significant area for making me doubt my competencies, because sometimes just managing is hard work. The skills you can’t explain. Fortunately my CV has a lot of experience that would go some way to explaining some of the skills I exhibit. However, I do feel a little sad that the Therapeutic Community (TC) that was so crucial to my recovery never gets any of the credit. It often makes me giggle inside when ‘working in a busy shop at Christmas’ gets the credit for my ability to manage ‘customers’ with high stress levels. 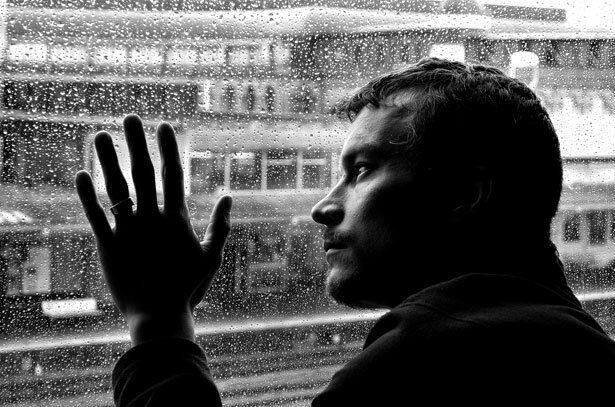 The reality is that once you have lived in a TC for a year, with infinite unrelenting crises occurring, there’s really not much left to phase you. Similarly, the Samaritan’s training for volunteers is getting an awful lot of credit for my abilities to listen and relate to people. Now, these things are probably ‘positives’ really, the challenge is simply feeling like it’s best to hide your experience. There’s also the ‘skill’ of having an extensive working knowledge of psychotropic medications that significantly exceeds that expected of an OT student. Unfortunately there’s nothing on my CV to explain why I know that likely side-effects of intra-muscular haloperidol injection, or even have such good understanding of the sections of the Mental Health Act, but I suppose it’s all valuable information to have. Them and Us. At both university and placement I have experienced a degree of ‘them and us’ type thinking (the university experience was explored here). I do hope that one day I can help challenge some of that thinking by being more open about my experiences. For now, my work is in getting through my training in one piece. As a student it feels difficult to challenge overtly, but I do hope that my discussions and way of working with people who have been ‘written off’ due to being ‘personality disordered’ might prompt other practitioners to reflect. Am I completely better? I am still in therapy, and have significant work left to do. This can make me wonder if I am ready for a professional career. However, I would not meet the criteria for BPD or any other mental health condition and probably have a much more balanced approach to life the the majority of people. I think there can be a disparity between the way I manage life and the amount of effort it takes to manage in such a way. Compared to some (some, but most definitely not all) people I suspect I have to work harder at the little things. Does that make me a less competent OT? No. I don’t think so. It gives me awareness of how hard life can be. Skills. As alluded to above, my year in a TC has given me a range of skills: From the teamwork required to live in a TC, to being a co-facilitator of a range of therapeutic groups, from learning to tolerate hearing difficult things and providing support to those in great distress to gaining the ability to reflect and realise when you are absorbing ‘someone else’s stuff’ or projecting ‘your stuff’. These skills are not taught on an OT degree, they may in part be developed on a practice placement but the reality is the experience gained is probably equivalent to that gained in the first few years of employment. The value is significant, I have only worked with one or two people diagnosed with Personality Disorder so far in my training, yet the skills have been transferable to the people I’ve worked with in both placement settings (older adult mental health and social services). Interest. I am perhaps not the best student at studying ‘what I am meant to’. Like many people, once reading for an essay, I lose interest. I also struggle a little with the delivery of our lectures, I find it hard to remain engaged when we are not challenged to think. So, having this blog based on my own experience has been a lifeline. I know I have developed my skills in applying occupational theory to my own experience, which has given me the confidence to do the same when out on placement. Perspective. It sounds a little ‘corny’ to say this, but I will anyway. My life experience puts university into perspective. That does not mean I don’t treat my studies with respect but it does give me an attitude of ‘I’ve come a long way to get to this point, I can certainly manage the stress of a degree’. That doesn’t mean I find it all easy, but it does give me the self-belief to get through it. Opportunity. I have recently written a service-user commentary for a chapter in a forthcoming edition of an occupational therapy text. This was a privilege as I got to read new material before it was published and it feels quite special to know that I will have my name in a text book before I even graduate. I suppose the next goal is to have my name in print as a student/practitioner/researcher rather than service-user. The role of this blog. It’s been difficult to write as many posts as I would like. The ‘sleep’ issue above means I often have to prioritise energy levels for university work. However, writing the blog only came about from suggestion of my tutor and what a brilliant suggestion it was. Having this perspective opened up a world of opportunity for my engagement in occupational therapy in the social media domain. I’ve read countless other blogs, had enlightening discussions on twitter, joined in #OTalks and #occhats, met up with some brilliant people, made some valued friends and ‘outed’ my inner OT Geek, all of which wouldn’t have happened if I didn’t have the pd2ot story to tell. The feedback received has also helped me integrate my experience. The support given about my perspective has let me experiment with letting more people in. There are several ‘real life’ friends who have read the blog, and I am much less afraid about sharing (in a boundaried way) parts on my experience with the right people, more confident in the knowledge that I’ll be accepted. So, thank you readers/tweeters/commentators. I also was humbled to receive nominations in two recent social media awards. The thing that struck me was that I was not nominated as a service-user, but rather in categories for ‘academic’ or ‘occupational therapy’ content. This felt quite powerful, and hopefully means I’m getting the balance right. I am primarily an OT student, who is influenced by her experience of having BPD. So, no, I do not believe being pd2ot makes me less competent. It does mean there are challenges for me that some other students might not face (but I suspect they have their own, unique, challenges) but overall the range of ‘positives’ outweighs the challenges. There is also a significant point to remember, while I am reasonably confident that being a student who has had BPD helps me be a better OT student, I am more certain that without having had BPD I would never have embarked on this career. …or perhaps the ‘PDtoOT’ in the room? I’ve just returned to university to start my second year. I began the week looking forward to a year that might suit my learning style better as it’s more focused on critical thinking and appraisal of information. I’ve also had my first experience of mental health specific lectures, which have given me a lot to reflect on and are the catalyst for this post. Before I begin I must state that I don’t believe my university is intentionally causing stigma, nor is every lecturer/workshop leader ‘guilty’ of what I’m about to describe, but I do feel that my experience this week highlights problems. I also am conscious that the topic of stigma in mental health is such a giant topic, and many of the questions floating around my head of ‘WHY are we (society) so scared of talking frankly about this?’ are too big to be considered entirely in this post, so I shall stick to my university experience. My university, thankfully, is normally very good at challenging use of language that encourages stigma. Terms like ‘Mrs X suffers with bipolar’ and ‘Mr Y was a schizophrenic man I saw on placement’ will usually be noticed and corrected. That said, I’ve heard it be said and remain unchallenged in several sessions this week. I did challenge a friend on the matter and it was met with a response of ‘Oh’. I’m not sure if, when these issues were mentioned in our first year, people sufficiently understood the effect of this use of language. I suspect some felt they weren’t allowed to use the terms without understanding why it is reductionist and encourages a victim-projection into the client. ‘Them and us’ – I was very relieved, after the majority of a lecture had been spent referring to ‘them’ (as shorthand for people with severe and enduring mental health problems), when another student raised the point of the challenge of considering vocational rehabilitation for ‘them’ when it would contain so many people with different life experiences, never mind varying severe/enduring mental illnesses. The lecturer did validate this point, however I don’t feel it was sufficient after a whole morning where I felt this client group were being considered as a very separate group, that had to be handled with kid gloves and the therapist must have very low expectations of achievement. It felt like the client-centredness approach was entirely absent. For some people a successful OT intervention may result in a small period of voluntary activity each week, but for others this would be significant failure of the rehabilitation for that client. If the lecture had been discussing physical conditions I think the expectations of what an individual can achieve would be much higher. Of course, I am aware that for some mental health problems will prohibit a return to work, but unless we are brave enough to imagine people recovering enough to lead ‘lives worth living’ I fear the profession will not help people achieve the full extent of recovery that is possible for them. I was glad that we were encouraged to share preconceptions about mental health problems and, for those that had been on a mental health placement, how they had changed after placement. As I discuss below I value an open and frank discussion, but this all felt one-sided. Yes, the point that fears that people with mental health problems were violent was discussed as unfair, but the point was not elaborated on to increase understanding about what the reality is. For those in the room that have this preconception all they now have to go on is the knowledge that one student doesn’t believe this is true, but no understanding as to the reasons violence may happen, or about clients that would only ever inflict violent acts on themselves, or even the many clients who will have significant mental health problems, none of which involve violent behaviour of any sort. This is a point I feel can only be delivered by service-users, to truly impart understanding of the reality of mental illness and how it influences behaviour. My final issue relates to the ‘them and us’ issue raised above. The times I felt myself cringeing most in the lectures were when I felt that people with mental health problems were being patronised, either by staff or students. I’m not sure why anyone feels this is appropriate or helpful, but comments like ‘x struggled with ;, bless him’ are not ok and actively encourage stigma. If a soldier who had recently had a limb amputated was finding a self-care task challenging I seriously doubt they would be patted on the head and told, ‘ah, bless you’. I also sincerely hope if they were finding the same task difficult due to Post-Traumatic Stress Disorder they wouldn’t be treated in this way, but after this week I’m not entirely confident of this. Again, it feels like validation of the capability, resilience and skills of clients with mental health problems is not sufficiently present. Am I more sensitive as an ex-service-user? I actually feel that when mental health matters are discussed in an open and frank matter, without any trace of ‘tip-toeing’ around the subject, I am no more sensitive than any other person (and possibly far less than many people). I don’t mind if people ‘get it wrong’, I also don’t mind if people have strong opinions or judgements, so long as both they and I are able to have a discussion in which both parties can express their opinion and attempt to listen to, and understand, each other. I have delivered teaching to psychologists and counsellors in which I was asked directly if my self-harm had been manipulative or attention-seeking. This did not upset or offend me, it simply pleased me that people felt able to ask directly and listen to my response. I struggle more when I feel lectures are delivered in a way that encourages stigma and misunderstanding, due to an overly sensitive and patronising delivery. I tend to go quiet rather than offer an alternative opinion, perhaps indicative of how unhelpful and silencing such an approach would be with clients. I am mindful of the fact that I do find myself slipping into criticism of my university regarding a somewhat incongruent approach on their behalf. I have attended lectures that highlight the poor statistics for return to work for people with mental health problems after long period of sick-leave, and discussed intervention strategies that highlight the employer’s role in allowing an adjusted return to work. This is the first point in my life where I have been able to consider full-time work for 9 years, and the area of my life that still limits my performance is a very poor sleep pattern due to re-experiencing of traumatic events. Despite this I am about to embark on my second placement that involves a significant commute. While I function very well during the day I tend to have a few hours in the morning where I feel more vulnerable, almost like an emotional hangover from the night before. I have had several discussions with my university about these matters and feel slightly ‘not listened to’. It’s not my style to make a fuss and I’m also aware that I have internalised stigma and feel desperate to ‘just cope like everyone else’, but the reality is that it hurts to feel dismissed after taking steps to admit vulnerability. Do I have a perspective that could help my fellow students? One thing I am very clear on is that I have no experience of what it feels like to be an OT student that is nervous about working with people with mental health problems due to lack of experience, and for that reason this is the area I need to listen to those peers who are brave enough to admit the preconceptions and fears they have, to increase my own understanding of the issue. I’m very conscious that my experience is just one of many people who have had mental health problems. Even if my peers all knew my views and experience this would simply give them insight into one person’s experience. That said, I feel the ‘power’ of my story is that these people know me primarily as a student, most people I know struggle to imagine me as the sectioned, destructive, despairing girl that spent several years in hospital. And that is my point, both those things are true. I am the person I am today AND I’ve had significant mental health problems that I almost didn’t survive, with many professionals feeling I’d always be detained in secure facilities. What could be done to improve matters? It’s very early days in the semester and I’m not sure if our teaching involves service-user involvement. If it doesn’t I think this is a significant oversight and will not challenge perspectives sufficiently. I know we have some lectures and workshops in the next few weeks delivered by people who I am confident will not teach in the manner that I feel silenced by, so perhaps I will contribute more of my perspective then. Part of me would love to deliver a session, one that discusses the experience of a young woman with BPD who is intently suicidal and ends up sectioned and on 24hr-observations with all professionals at a loss of how to help, who eventually recovered due to treatment at a therapeutic community involving intensive psychotherapy, DBT and OT, and finally reveal that person is in fact standing in the room with them. I’m sure that at some point in my career I’ll be able to challenge views in this way. However, the time isn’t now, my priority is my own learning but I can’t help feeling my learning would be much less frustrating with a teaching programme that was less ‘fearful’ of upsetting the people with experience of mental health problems. I considered editing this post in light of recent developments at university, but I feel it’s better to leave it as is, with this update. I’m really pleased to say the second and third weeks of term have included some fantastic teaching on a variety of psychosocial issues for occupational therapy practice. That doesn’t make my frustrations with the first week any less valid but I am grateful that the issues I raised did not continue. I’ve also had a lot of support from my tutor and placement coordinator to resolve my worries about placement, and used my own therapy sessions to explore why I find communicating my needs so difficult. 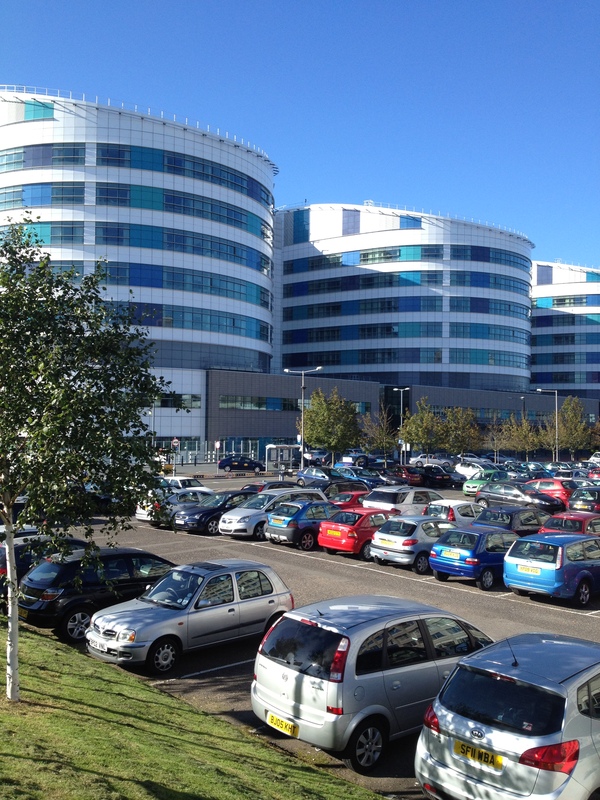 I was fortunate enough to gain a place on The College of Medicine’s (http://collegeofmedicine.org.uk/) Summer School for students of healthcare professions, hosted by the University of Birmingham Medical School in partnership with the Centre for Health Ageing Research at the shiny, new Queen Elizabeth Hospital (left). Approximately 70 delegates gave up 2 precious days of summer holidays or Vital Money-Earning Time to consider the issues surrounding healthy ageing for older adults. The professions of medicine, nursing, podiatry, osteopathy, physiotherapy, psychology, diagnostic radiography, nutrition and dietetics, pharmacy, dentistry, herbal medicine, chiropractic, radiotherapy and of course occupational therapy were all represented by students from around the UK. I think the ‘multi-disciplinary’ label was certainly justified! The event was very well organised and every team member was helpful and friendly throughout the very intense 2-day summer school. This post is simply a personal reflection on the summer-school. The first day of summer school was very much the ‘food for thought’. We had seven 30-minute talks, each followed by 15-minutes question and answer time. The topics covered were vast. The most scientific talks included; ‘Ageing, Infection and Immunity’, ‘Nutrition in Healthy Ageing’, ‘Cognitive Health and Ageing’ and ‘Physical Activity to Support Healthy Ageing’, all of which were presented by leading professionals in the areas who were able to share their latest research findings to support their presentation. The more practical and ‘in-practice’ areas were represented by presentations about the ‘Move-it or Lose-it’ exercise classes for older adults (http://www.moveitorloseit.co.uk/) as well as Well UK’s Director presenting the Upstream Project (http://www.upstream-uk.com/) as an example of a ‘Community Based Model for Healthy Ageing’. The latter was the most akin the models I’m familiar with as an OT student and I found it fascinating that the programme was so focused on meaningful (often leisure) occupations as a central point of a social group, despite not having OT involvement. I found it refreshing to listen to presentations concerned with physiological processes of ageing. I found it enhanced my understanding of the process and also allowed me to consider the likely relevance to occupational therapy. The common theme was that moderate activity is vital to limit ‘unhealthy ageing’ and so I found myself wondering how occupational therapists can encourage this, particularly for clients who may not select physical activity as a goal they wish to achieve. Can a balance be achieved between health promotion while remaining person-centred in approach? Another common theme was that ‘connectedness’ and relationships were important determinants of well-being, by limiting social isolation and mental ill-health. This wasn’t ‘news’ to me as both an OT student and someone who has recovered from serious mental health problems, but the key learning was developing awareness that for some professional-students this was a novel idea and reminded me just how ‘medical-model’ some of the other professions are. Day 2 mostly focused on small group workshops facilitated by service-users with an interest in a specific aspect of ‘older-adult-life’. These were; ‘spirituality, religion and ageing’, ‘sexuality in older age: an LGBT perspective’, ‘ethnicity in older age’, ‘mental health in older age’, ‘retirement and well-being’, ‘exercise in older age’. I was grateful to get into a more interactive style of learning after a long, albeit interesting, day yesterday. The facilitators of the sessions were all excellent. My only criticism was that some of the groups might have benefited from a co-facilitator that had a contrasting experience. For example someone who had been a reluctant exerciser, someone who struggled with the transition to retirement and someone who experienced mental health problems for the first-time as an older adult, not a working age adult. The students brought a range of personal experiences and it was all done in a reflective and open-minded manner. I was struck by how some of the topics being discussed were quite obviously ‘new territory’ for many of the students, particularly the workshop on LGBT issues. While I felt glad that at least the participants today may now be aware of their heteronormative use of language with clients, I felt quite sad that this was the first time they had ever considered it. The closing plenary was a summation of everyone’s thoughts and it was nice to hear the different ‘key points’ that people would take away. I was aware of how beneficial the summer school could be to other students, those perhaps who also need to challenge some of their assumptions. What will I, personally, take away from the summer school learning? Some of the professionals I work with are going to be very focused on diagnosis and symptoms. While this is not an approach I wish to take, the depth of their understanding of physiological processes is vital and will provide evidence for the interventions being provided by those with a more bio-psycho-social consideration of the person. The physiological explanations of the ageing process and issues that determine the relative success of ‘healthy ageing’ were very helpful to understand. However, the practical ‘consequences’ mean that the approach for an OT focuses on occupations that support an active lifestyle and reducing social isolation, which would be similar for a working-age adult, adolescent or child. Furthermore, discussions highlighted how clients want to be listened to, not judged and have a clinician that doesn’t make assumptions as well as showing great kindness. Again, this is something I feel is important, irrespective of age. As a representative of the OT profession I noticed certain issues repeating throughout the weekend. I anticipated having to answer the question of ‘so what does an OT do?’ but seemingly underestimated the frequency with which I would be trying to define and explain the profession. Fortunately it’s a topic I like discussing and was able to draw on the summer school content to put things into context. One aspect that left me feeling a little sad was that in several discussions I noticed a marked change in peoples’ attitudes towards me when they discovered I had initially studied another degree at a prestigious institution, compared to when they thought I was ‘just’ an OT student. I am not an OT student because I can’t do any better, but simply because I think it is a profession that can make a real difference to people’s lives, in a way that fits with my own values and even ‘spirituality’. The link to occupation was made on numerous occasions throughout the summer school, but never was it suggested that OTs could be crucial clinicians for encouraging healthy ageing. This, combined with the numerous ‘what is occupational therapy?’ questions, reminded me of some of the challenges the profession faces. I can’t help but feel that the answer lies in research and evidence production. There is clearly fantastic medical and physiological research available on this topic but unless this can be linked to the role of occupational therapy in enabling people to make the occupational changes in their lives that support good mental and physical health I feel we will always be invisible and misunderstood. 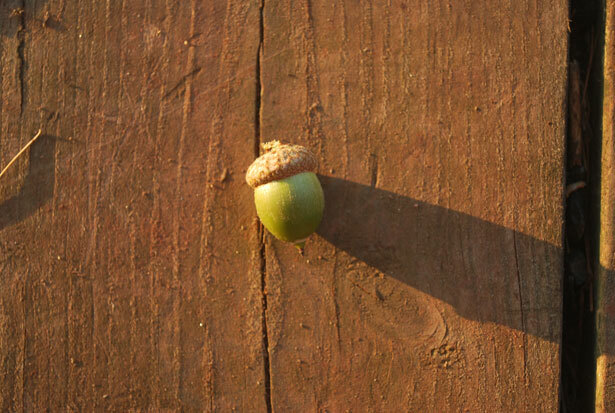 This blog post is inspired by the forthcoming #occhat on Mindfulness and Occupation (Tuesday 28th August, 8-9pm BST, follow #occhat on Twitter) as well as numerous discussions on Twitter, particularly in #BPDchat, #OTalk and #occhat, on the nature of the relationship between Mindfulness and Occupation. The first part is designed to suggest some related reading and a list of questions to prompt reflection on the topic before the #occhat, the second part in my personal reflection on Mindfulness and Occupation. Linehan, M (1993) Skills Training Manual for Treating Borderline Personality Disorder. New York; The Guilford Press. Elliot, M (2011) Being mindful about mindfulness: an invitation to extend occupational engagement into the growing mindfulness discourse. Journal of Occupational Science 18(4), 366-376. Reid, D (2008) Exploring the relationship between occupational presence, occupational engagement, and peoples well-being Journal of Occupational Science 15(1), 43-47. Stew G (2011) Mindfulness training for occupational therapy students. British Journal of Occupational Therapy, 74(6), 269-276. Mindfulness refers to a person having total awareness of their environment, and requires a person to full participate in and experience life (Kabat-Zinn, 2004). Mindfulness meditation is based on this and involves a determined effort to engage in mindfulness. Such exercises can help develop an automatic mindful awareness of self and environment. 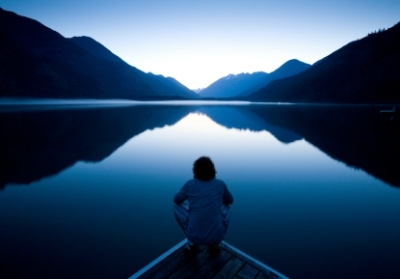 Mindfulness is now a common feature in psychological therapies. Jon Kabat-Zinn created Mindfulness Based Stress Reduction (MBSR), from which Mindfulness Based Cognitive Therapy (MBCT) was derived for people with recurrent depression (MBCT, nd). Dialectical Behavioural Therapy (DBT) is a therapy derived from Cognitive Behavioural Therapy (CBT). It is modified, primarily to suit a client group diagnosed with Borderline Personality Disorder (although has subsequently been applied to other diagnoses), in a number of ways. One of the key points is that DBT focuses on acceptance and validation in the present moment, additionally DBT uses mindfulness as a core skill set, and those engaged in group DBT skills training will repeat the mindfulness module at the end of each other module (Linehan, 1993). For further reflection on the fit of Occupational Therapy with DBT you may be interested to read https://pd2ot.wordpress.com/2012/06/22/dialectical-behavioural-occupational-therapy/ , it also explores the role of occupation to the specific mindfulness skills used in DBT. When I read through the articles listed above I noted a few key points or questions for my own reflection. They might be a useful prompt for pre #occhat reflection. Focussing on Occupational Therapy Intervention, which incorporates Mindfulness Practice. 1. A professional who is able to apply a mindful approach to their interventions will be able to ensure they are fully present in the session, aware of the imposition of distracting thoughts and also able to contain and acknowledge their own emotional reactions to, or prompted by, the client. 2. As well as the benefits to the client of having an OT who is fully ‘in the moment’, mindfulness could increase their awareness and understanding of the issues they are facing and communicate this to the OT. 3. A client who can utilise mindfulness practice may maximise the benefit of an OT session. For example, a person who has recently had a traumatic or life-changing illness/injury would be able to recognise that their thoughts were drifting to distress over lost skills and be able to validate the related emotion while bringing their attention back to the task. Similarly, if an occupation resonated with a traumatic experience for a person, implementing mindfulness may mean they are able to have a different, more helpful, experience. Limitations of incorporating Mindfulness into OT interventions. 4. Mindfulness may not suit every individual and, as with any OT intervention, a client-centred approach needs to be adopted. That said, I considered some client groups that may struggle to engage as a whole. A person experiencing psychosis may find it incredibly challenging to be aware of their thoughts. Reid’s (2009) article discussed the relationship between the Middle Pre-frontal Lobe and appreciation of emotions and feelings, which is inherent to mindfulness. Consequently a person with brain injury to that region would be struggle to engage with mindfulness. 5. Mindfulness is not an easy skill to learn, and it requires frequent practise to become an automatic process and a client must be motivated and choose to engage with this approach. 6. 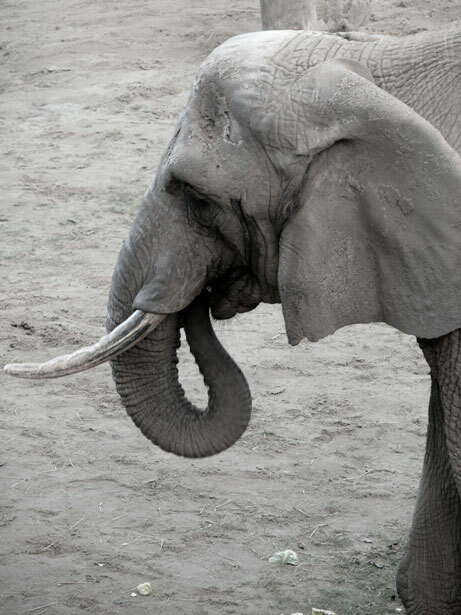 For some clients mindfulness can verge on being a traumatic experience. I have known people who find the experience of not-dissociating from resonant occupations to be painful and prompt extreme self-defeating behaviour. Risk may need to be assessed along with multi-disciplinary team working to have a consistent and contained approach. 7. Training – the OT needs to develop their own skills through appropriate training. As there is little evidence available as to the value of incorporating mindfulness into OT intervention, there is likely to be little funding for such training. Could the application of Occupational Therapy Theory facilitate greater benefit from Mindfulness Exercises? 8. Will a client find it easier to engage in a mindfulness exercise based on an occupation that holds meaning for them? 9. Conversely, could the meaning of an occupation make the task of engaging in mindfulness too much of a challenge? 10. Could increased levels of mindfulness skill be encouraged by ‘graded’ mindfulness practice, from benign exercises to those which might evoke stronger emotional reactions? 11. I found myself imagining facilitating an OT intervention and wondered how a mindful approach would compare with implementing Schön’s (1983) ‘Reflection In Action’. I think my initial reaction was to feel that the concepts aligned well, until I considered that thinking about the present moment and what was occurring in it (as in reflection in action) was the antithesis of being fully involved in the moment. So, where does that leave the compatibility of the mindful approach with reflective Occupational Therapy? There is a sign in a venue I dance in that states, ‘Please be mindful of the stairs.’ I always chuckle internally and imagine myself sitting down in front of them to observe or describe them, in a true ‘DBT Mindfulness Style’. In many ways, we all are familiar with the concept of ‘paying attention’ or being mindful, just as the creator of this sign wanted people to not have accidents on the stairs due to inattention. As those who have read the rest of my blog posts will be aware I was, initially, a reluctant recipient of both OT and DBT. My lack of engagement also extended to the Core Mindfulness incorporated into DBT. In reading the above articles and reflecting on the points I raised I also considered how I felt about the role of Mindfulness in OT interventions. As my OT was also my DBT therapist, mindfulness was utilised to manage difficult situations. For example, in supported cooking sessions the OT would encourage me to bring back any thoughts that were disappearing off into ‘judgement land’ and to focus on the task. I also remember struggling with feeling overwhelmed with tasks such as hanging my washing out when I returned to my flat as a day patient. The OT suggested that I mindfully hang out socks, instead of judging myself for racing through the task and ‘performing badly’. It sounds simple, but this approach helped greatly. I feel quite clear that mindfulness facilitates recovery-focused meaningful occupation. As for the reverse? As part of my individual DBT interventions we started every session with a mindfulness exercise. I believe I found these to be, simply, exercises. It didn’t seem to matter whether I liked the task or not, or if I would choose to do it outside of the session, my ability to engage was more determined by other factors such as mood or events in the Therapeutic Community (TC). I do remember that I found some of the group exercises difficult if they carried specific resonance. For example a game called ‘warp speed count’ had associations with childhood and I found the task of remaining mindful to be too large. However, I can also see a progression, or grading, in both what I could engage with and also what I could contribute to mindfulness. Eventually I was able to fully participate, mindfully, in ‘Warp Speed Count’, so much so that I felt able to lead a mindfulness training session for professionals, using the game as my example. The gradation to this point involved coping with more challenging mindfulness exercises in sessions and taking the lead in individual mindfulness sessions before leading group mindfulness.